Spontaneous weekend getaways are the best! I'm so jealous of your living in Norway! It's the only family heritage I feel any business claiming, as my great-grandfather came over to the States from a small town outside of Oslo and I'm 1/4 Norwegian. The rest of me is total American mutt, but growing up with Norwegian family bits and Norse mythology tales told to me from birth, etc. I've always had an extra bit of longing to see the country and see the town in which my great-grandfather grew up. We tried to get to Oslo whist in England, but while discount flights were £5 regularly, nothing else was cheap, as you know! We'll get there someday, though. A friend of mine lived in Bergen for a little over a year and loved it- so much so that their dog is now named Bergen. Have you been up there yet? It's closer to you than Oslo, yes? We also love hotels like that- I mean really, if you're traveling all you need is a clean bed and shower, right?? The location sounds perfect, too! I'm going to keep it in mind. Can't wait to see your pictures! oh my gosh... so funny how i gape at 300 for a flight within europe because now i'm so used to flying for less than 150 even though just to fly from sf to my parents house in california (1 hour flight) that's what i would pay. it's great that you can figure out some weekends to start crossing off the list! thats what i'm trying to do too! wow thats alot of money for a flight within europe! oh I wish that we could have made it to Oslo when we were in Scandinavia. glad to have some tips for when we finally make it! or maybe some cities during summer? or any of the cities in south Norway. Grimstad, Arendal, Kragerø og the bigger Kristiansand. Many of them with only cute white houses. Svalbard - a very special place to visit! Also, Norwegian.no have many sales on tickets during the year, so you might get one way tickets for 199 NOK some times! Thank so much for the tips. We do hope to do a lot more trips within Norway as some of these have been on our list! I'll definitely look into the others you recommended! That hotel looks amazing! I love quirky high-tech places like that :) I can believe how expensive it is to travel inside the country though being from Canada...although as you know in Canada we have a bit more of an excuse because it's massive. Glad you two got to squeeze in a little getaway! Looks like a fun time. I would love to travel here. What is typical Norwegian food like? You say it's unremarkable, but what is it? Any chance on a post on the topic? i concur, it is bland and boring. although the seafood is quite amazing. lots of fatty meats and boiled potatoes, especially where jay lives in western norway. no added spices or heat. the problem with norwegian cuisine is they still eat like they are poor to an extent. its getting better, but the cuisine hasnt really yet modernized itself like in other scandinavian/nordic countries. So that is the name of the Vietnamese restaurant :) I think I've been there (if it is the one inside of Eger Torget ...like a shopping center). It was very good! I didn't order (b/c I was poor) but my friends all gave me a bunch of their food when they couldn't finish it (yes, I'm that poor). And I've totally indulged in a milkshake or two at Nighthawk :) Never had their food though. Thanks for providing me with some tips in my own city!!!! And of course, super glad to finally meet! I've always wanted to go there... So jealous of you! 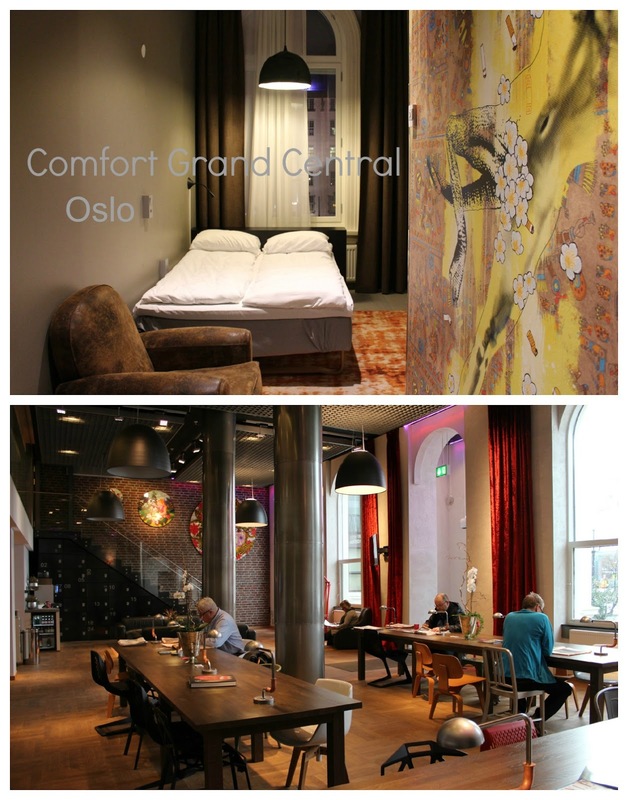 Oslo is definitely one of my dream destinations, I also heard Tromso is a good place to see the northern lights. All these Norway posts make me want to be there now. Tromse is definitely a big draw for Northern Lights as well as dogsledding. We get the Northern Lights in Canada so it's not quite as alluring to us however, I do think it would be cool to visit the arctic circle! that hotel sounds cool. especially the door sign.